Jessica Bowman, who joined Dr. Quinn, Medicine Woman in January 1995, was formerly a regular in The Road Home, on the CBS Television Network, and starred in the Hallmark Hall of Fame presentation of The Secret. She has also guest starred in the series NYPD Blue, Baywatch and Boy Meets World. 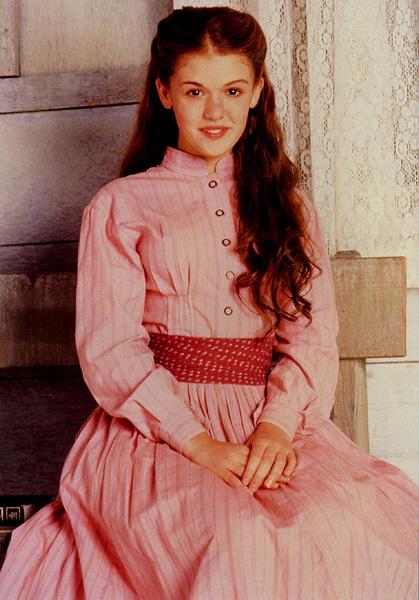 Bowman won Best Performance by a Young Actress in a Dramatic Series at the 1996 Young Artists Awards for her performance in Dr. Quinn and was nominated for a 1997 Hollywood Reporter Young Star Award. She was born in Walnut Creek, California. Her birth date is November 26. Colleen Cooper, second child of Charlotte and Ethan Cooper, was born in 1856. After her father left, and her mother died, she was placed under the care of Michaela. Colleen was devastated by the death of her mother but was kind and helpful to Michaela. They grew very close, and Colleen developed a passion for medicine through Michaela. Her interest and love for the medical field led to Michaela allowing her to help in the clinic. Colleen also finds time to act as the towns librarian. Academically inclined, and exceedingly proficient in mathematics, Colleen plans to attend college in Denver to get her M.D. Although she once had a crush on Sully, and has had some other interests, Colleen had no serious love, aside from her love of medicine. Recently however, she has been seen increasing in the company of Dr. Andrew Cook. Her feeling for Andrew grow and she falls in love with him. They get married before Colleen has to leave for medical school. For more Dr. Quinn information, see the List of Episodes and Air Dates and visit the Script Archive.